Started as just a website, today, Vowelor is a growing community of 90000+ readers. These readers & authors interact regularly with Vowelor on various platforms including Facebook Group, Page, Twitter, Instagram and the Vowelor’s website itself. 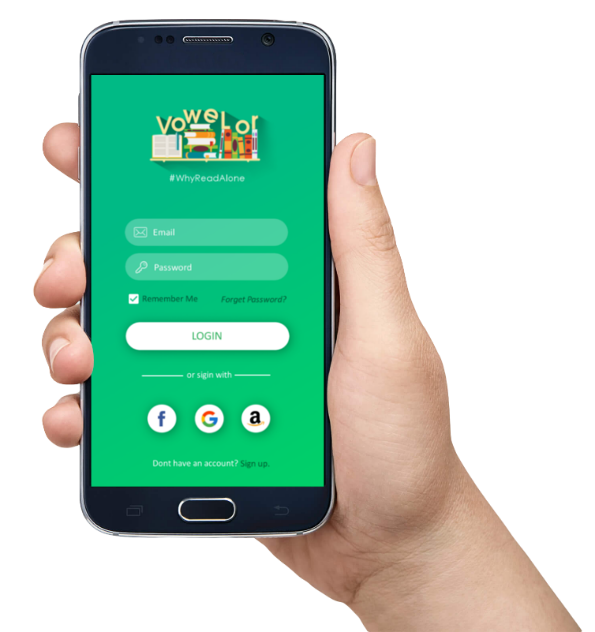 Vowelor has been derived from the word ‘VOWELS’ which are referred to as building blocks of Literature. No book will be complete without VOWELS. Similarly, We aim to Complete the Bookish world, hence we named it – VOWELOR. We intend to create India’s first ecosystem of Readers and authors where they can connect, communicate and share their experiences about Books, Reading & Writing. Connect with thousands of readers who love books as much as you do! Lalit Sharma is Co-founder of Vowelor and an internet enthusiast. He has been actively working with writers and readers to help the good authors reach out to more avid readers. Before starting Vowelor, he has been working in the Digital & Content marketing landscape.